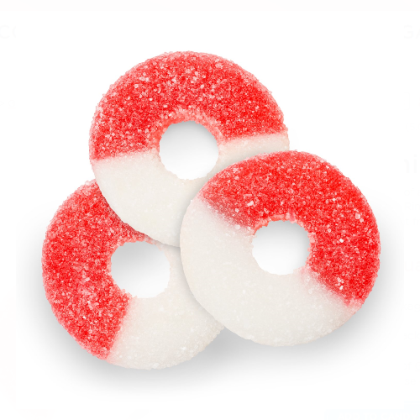 Loop your tongue through these gummy rings for a sweet taste sensation. Red and white loops with light sugar sanding made by Albanese. 12 oz. Approx. 3.5 pieces per ounce and 1.5 inches in diameter. Made in USA.